St. Albans and St. Albans town have a combined population of 14,000. St. Albans town completely encompasses the city of St. Albans and is situated along Lake Champlain. The Vermont Maple Festival held annually in St. Albans is a significant tourist attraction for the community. This is quite suitable since St. Albans is nicknamed the "Maple Syrup Capital of the World". The Recreation Department of St. Albans also provides a number of activities as it hosts birthday parties, summer camps, leagues, swimming, and classes for community members of all ages. 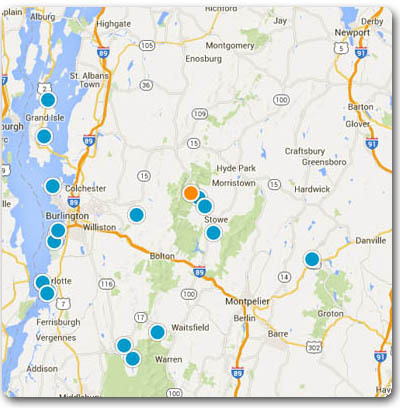 Use our search by map tool to discover all St. Albans VT homes for sale and real estate. Select the search by map and discover all St Albans VT homes for sale and real estate.